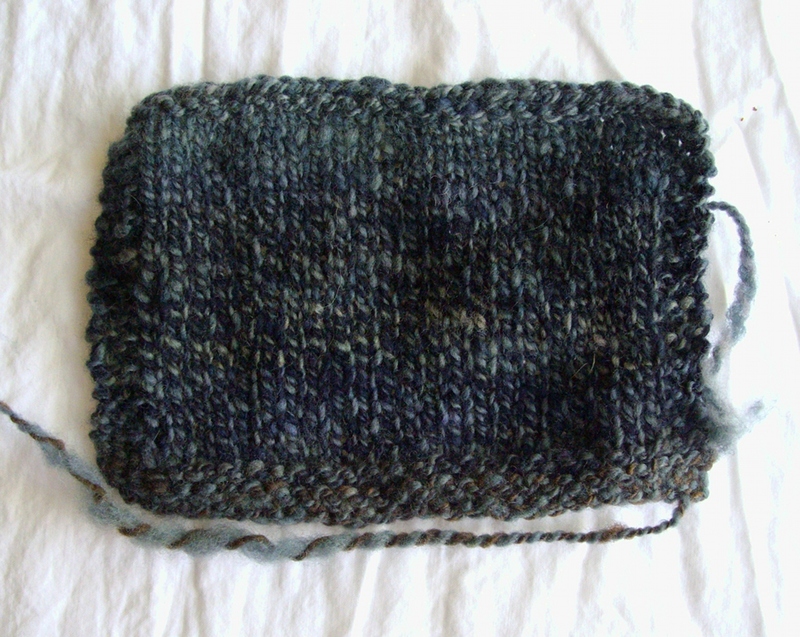 Laceweight sample from back in the mists of time. Well, it’s done. 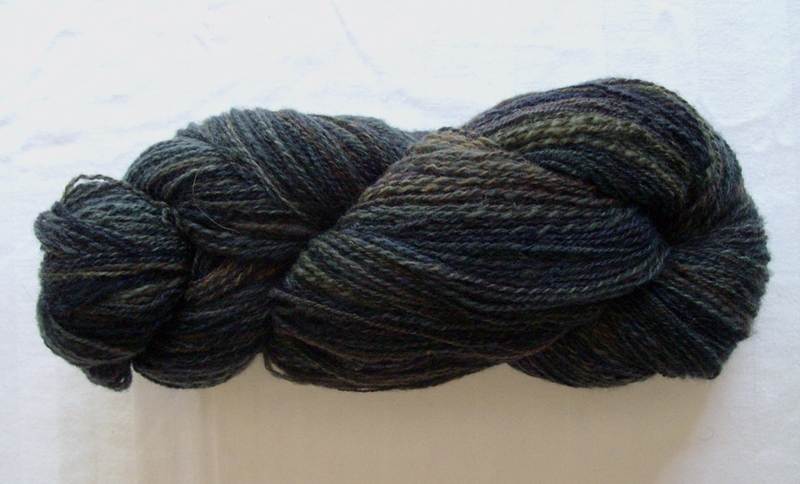 Or at least, the first skein of it is done. One day there will be two skeins; today is not that day. It’s not the fibre’s fault: this is some very nice top, and the colours are lovely and moody and right up my alley, but I’ve discovered that I do not like working with pencil roving. Pencil roving is thinner than most top, so I can’t pull off big chunks and long-draw away; the closest I could get was a sort of semi-worsted with a long drafting triangle, so there was a lot of pinch-and-pull-and-pinch-and-pull, teasing a fine singles from the drafted top until my hands crabbed up and my wrists ached and my back clearly wanted to punch me. 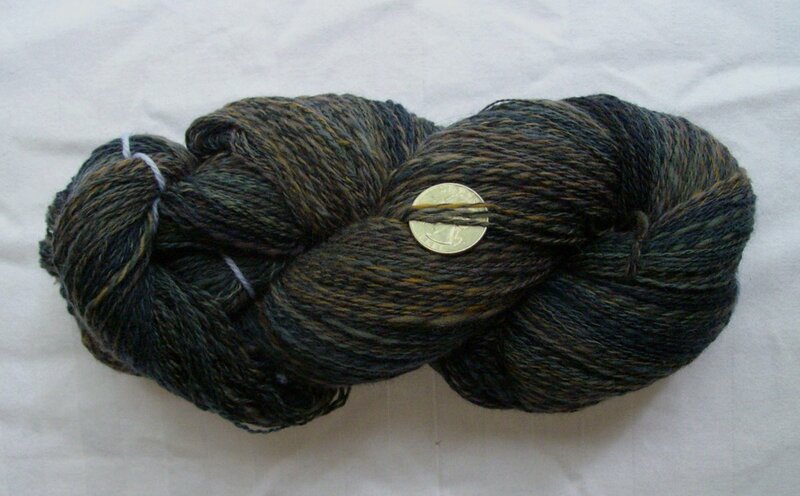 Even fresh off the wheel, though, I could see the yarn would be worth it. 3.3 oz/94g, 25 wraps per inch, 806 yds/737m. No wonder it took so damn long. After some rather cruel treatment in the Swedish torture spa and a good thwacking, it looks even better. I kind of wish I’d plied a bit tighter, as much of the sproinginess of the singles seems to have been lost in the plying, but ah, well. Next time. 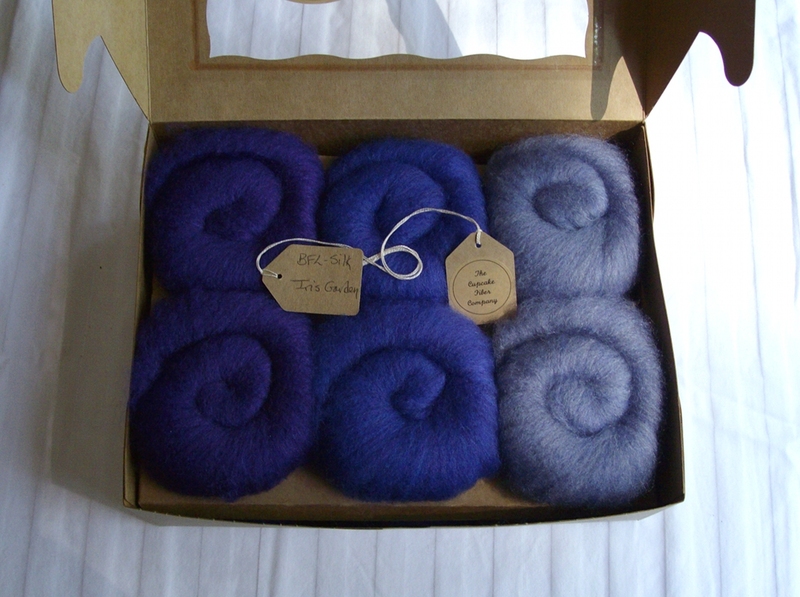 Almost looks like it’s from a different batch of fibre, doesn’t it? and now I know why. As part of my quest to better understand colour in spinning, I picked up a copy of Lynne Vogel’s book, The Twisted Sisters Sock Workbook: Dyeing, Painting, Spinning, Designing, Knitting. I am kind of in love with this book, and shall ignore the fact that it is a rather large step down the slippery slope to getting my own dyeing setup. A step with a banana peel at the end. And a greased slide after that. But I digress. What Vogel points out (which is so obvious, but which had never occurred to me), is that visually, plied yarn is kind of like pixels: the alternating bands of the singles create dots of colour along the length of the yarn. When the singles are thick, as in that last swatch, we can see the individual dots; when they’re fine, the brain melds those dots together to make a more solid-looking colour. So I could have made a thicker yarn that didn’t look like a hot mess, colour-wise, if I’d spun more fine singles and plied them together. 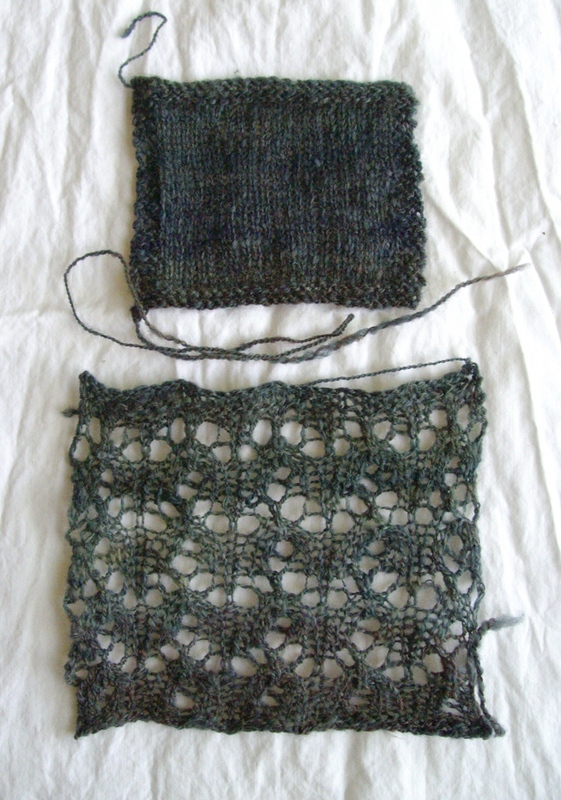 I’m happy with the laceweight, so I’ll just keep that in mind for future colour experiments. With part 1 of the Neverending Bloody Cormo done, I took a look at my Tour de Fleece plans (to which has been added an entire Shetland fleece. Just a small one, though, I swear.) Then I had a talk with myself. Lofty goals and grand schemes are all very well, I said, but that one bobbin of Cormo took an entire day, and the plying took a few hours, and you just cannot keep that up. You have other things to do. You may make your own schedule, lady, but that schedule has to have a goodly proportion of actual work — until you get that basement full of flying monkeys trained, those new designs won’t knit themselves. Let’s not even mention the baby and birthday knitting. No, let’s just not. Helloooooo, long draw. I missed you so. I love reading your blog so much that I ask myself, “Would I like to do this?” Erm, probably not…….but it is lovely. I can see getting totally absorbed. I used to crochet as a child.